Here at Andre Enriques Mortgage Banker - VA Loan Expert, we are a Mortgage Banker located in Chula Vista that specializes in helping Veterans secure 100% VA Loans in San Diego, Los Angeles, Riverside Counties, and surrounding areas. VA Loans began in the early 1940’s and it was designed to help service members purchase a home with zero down payment. The VA loan is offered to active duty, reservists, and to those who have served and meet the VA required time frames. VA loans are guaranteed by the Veterans Affairs and the loans are extended by banks and private lenders. What Properties are Eligible for a VA Loans? The importance of teaming up with the right professionals who have experience in working with Veterans, is a crucial decision. I have specialized in working with Veterans and their families all over California for the past 17+ years. Too many times I’ve come across buyers who have been unsuccessful in obtaining an accepted offer in months or years. With my experience I’m not only able to provide great rates and service but, I also offer assistance in getting offers accepted. In addition, I work with a team of VA exclusive Realtors whom are seasoned professionals that I’d be glad to refer. Set an appointment with a VA loan Specialist such as myself and gather required documents (such as VA certificate of eligibility), DD214 or statement of service, most recent pay stubs, asset statements, tax returns, Etc.) to present during the pre-approval appointment, which help to assess qualifications. During the appointment. I will be glad to answer all your questions and concerns about VA Loans as well as purchasing a home. I will also give you a rough estimate of your qualifications. Assuming all documentation is complete and in order, I will issue a formal pre-approval letter within 24-48 hours. Once pre-approved, you are then ready to go find the perfect place to call home. As soon as your offer to purchase has been accepted and escrow opened, we will then need to begin working on getting your loan file ready for underwriting submission and VA appraisal ordered (Underwriters are there to reconfirm qualifications by reviewing documents such as; income stability, credit, termite report/clearance, and that the appraised value is acceptable prior to issuing an official loan commitment). As soon as the VA loan conditions have been gathered and the underwriter signs them off, then approx. 24-48 later the final loan documents will be drawn up and will need to be signed in the presence of a notary. At that point, you will then be instructed to wire the funds needed to close on your purchase to title/escrow and will officially close on your purchase within a day or two later. If you should have any questions about VA Loans or about this process and would like to schedule an appointment please click here or call me at 619-208-6499. I am here to help you at either my Chula Vista office or my San Diego Office. 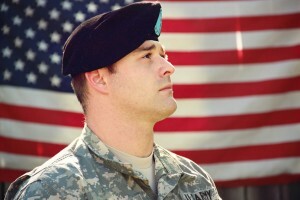 Lenders are required to get proof of a veterans service before starting the VA loan process. The COE serves as that proof, and tells a lender that an applicant has officially met the minimum service requirement. Thanks for serving our country, I look forward to serving you! We have offices in both San Diego and Chula Vista, and serve veterans and service members in the surrounding areas, including Eastlake, Lakeside El Cajon, Imperial Beach, Spring Valley CA, Carlsbad, Oceanside CA and the entire state of California. For more information, call us at (619) 208-6499 or fill out the Quick Quote to the right!